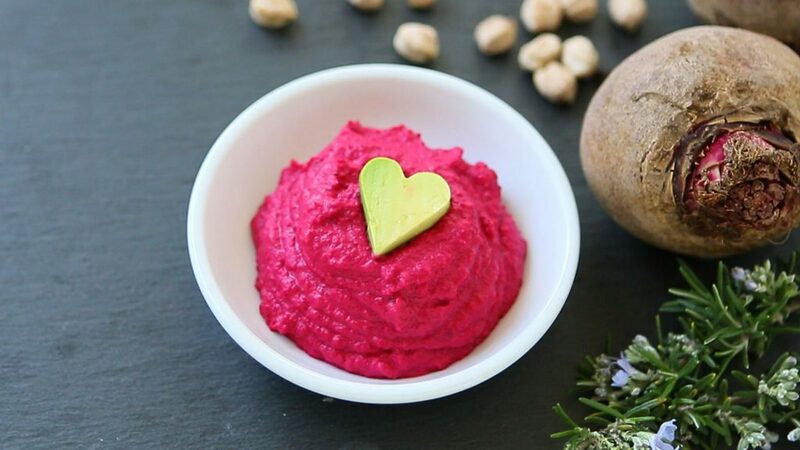 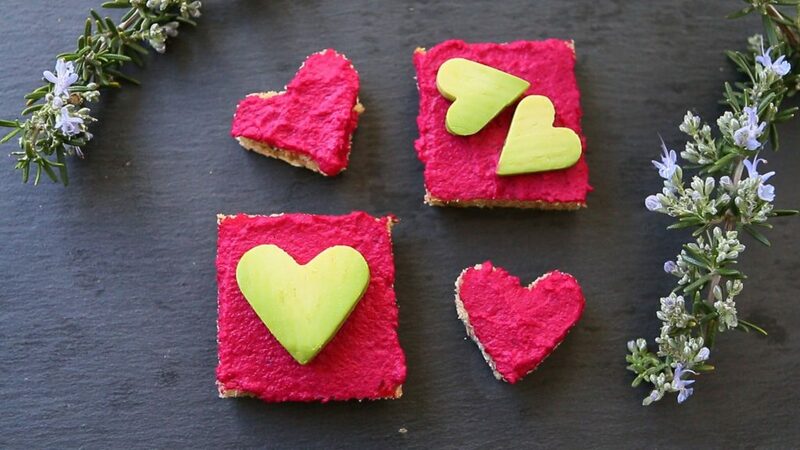 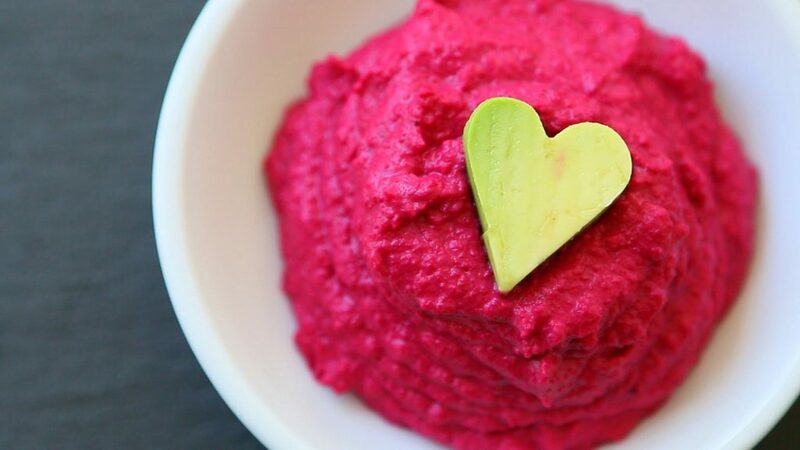 The Beet Hummus is a double recipe (yes, my favorite). 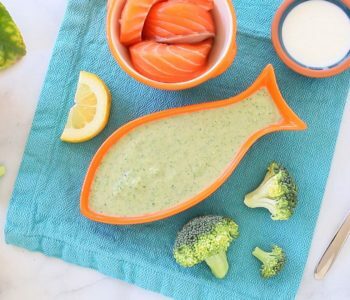 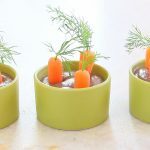 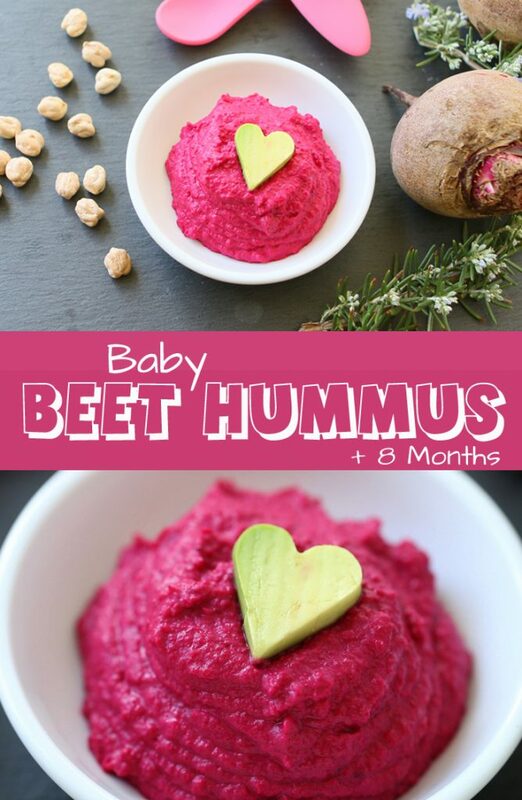 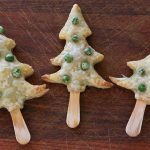 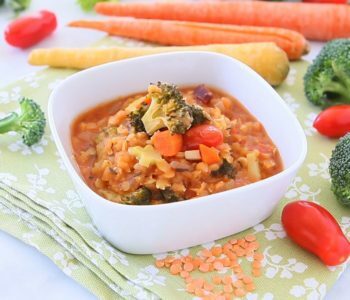 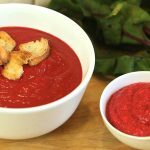 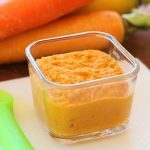 It can be a lovely baby puree, starting from +8 months and simply skipping the salt in the recipe OR…a fun spread with some crostini bread and avocado or simply with some vegetable sticks. 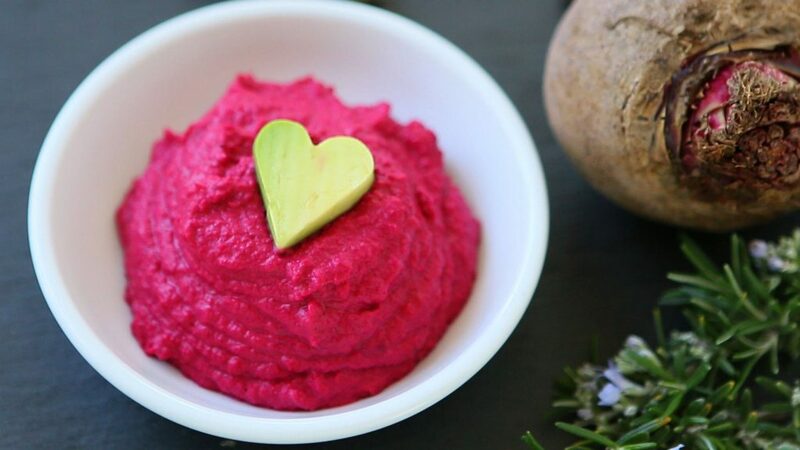 Cucumbers are a great combination for this hummus!! 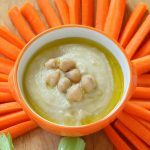 The Hummus is super (very super) simple to prepare and can be stored in the refrigerator for up to 1 week. 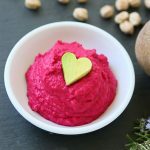 I also used the Hummus as a spread on the kids sandwich at school, together with some cream cheese: the pink vs white contrast was sooo beautiful!!! 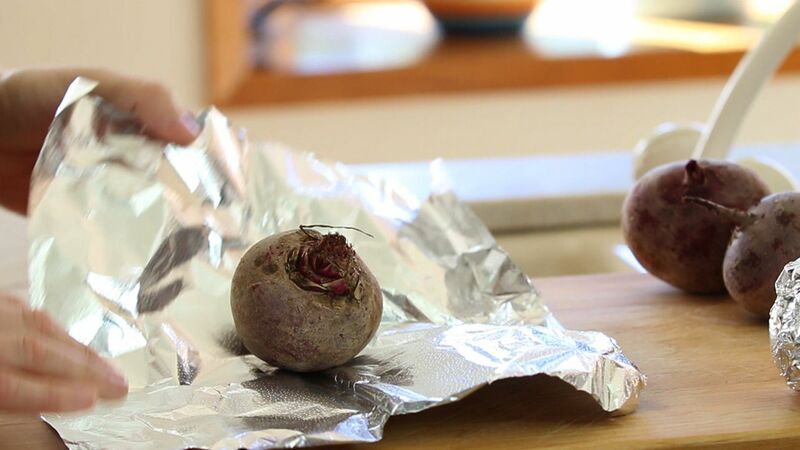 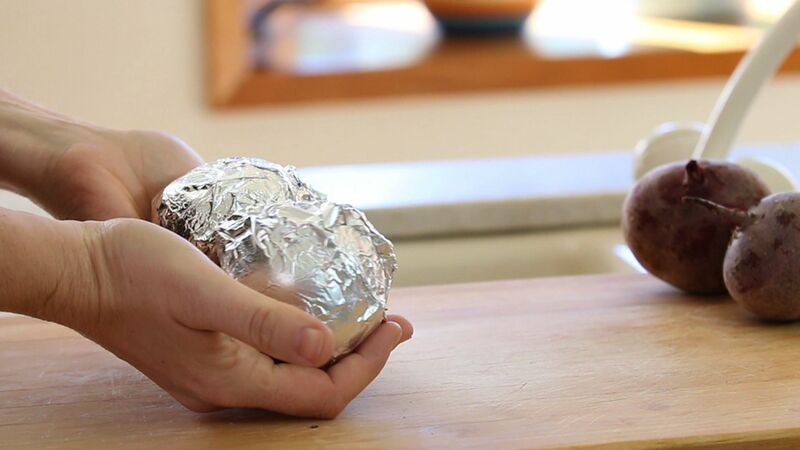 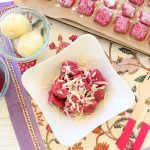 Wrap beets in some aluminum foil and bake for 30-40 minutes. 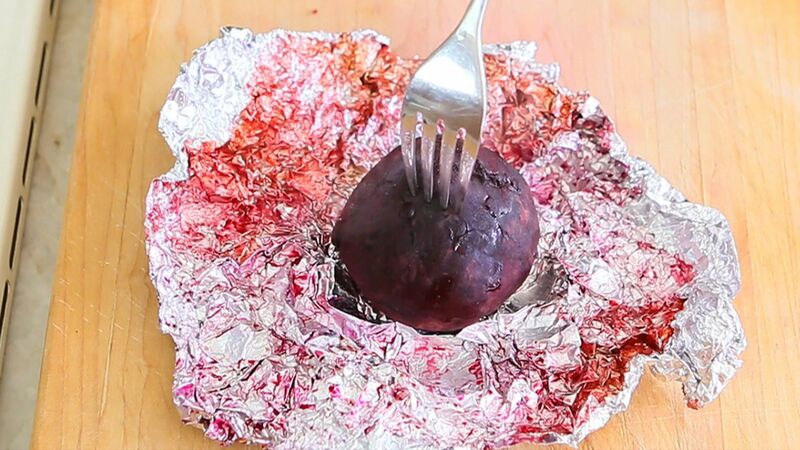 The beets will be basically cooked when it will be easy to pierce them with a fork. 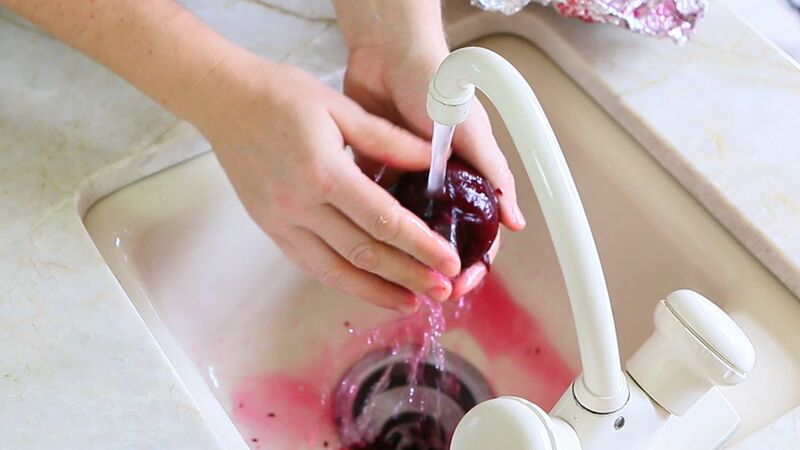 Remove the skin with your hands simply washing them under running water. 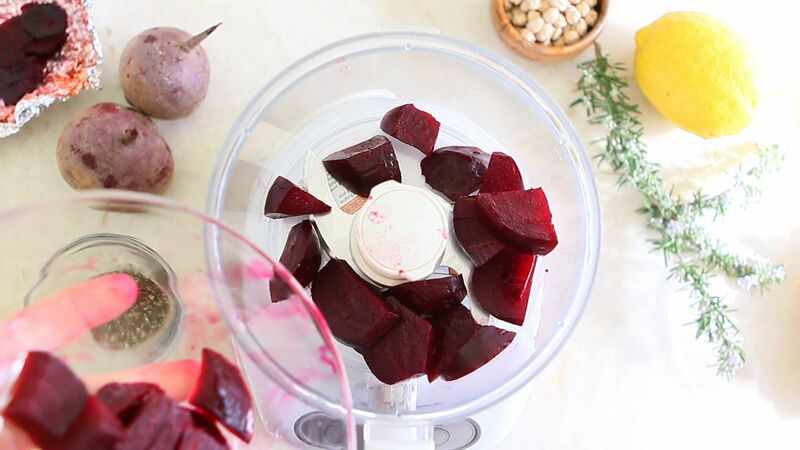 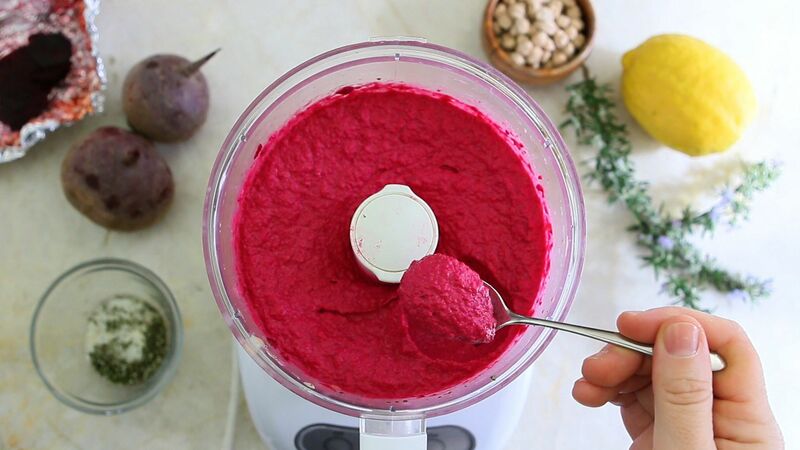 In a food processor add the beets chopped in pieces, the chickpeas, salt (not if you are cooking for babies), the tahini paste, the lemon juice and the water. 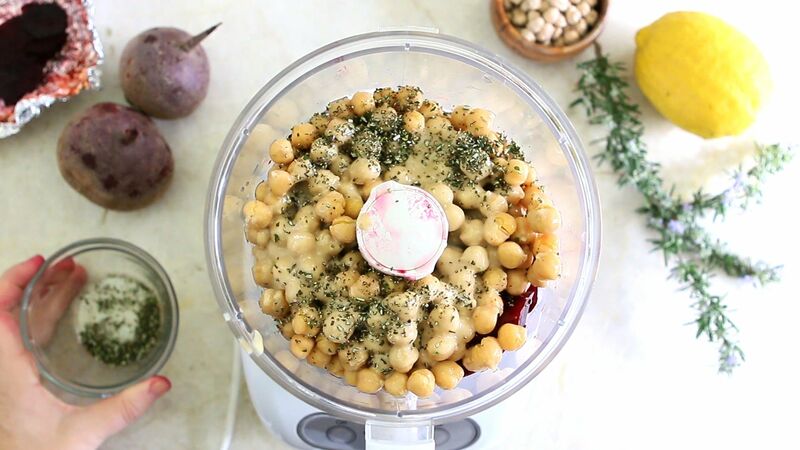 Last addition: minced fresh rosemary to give a lovely scent to our hummus. 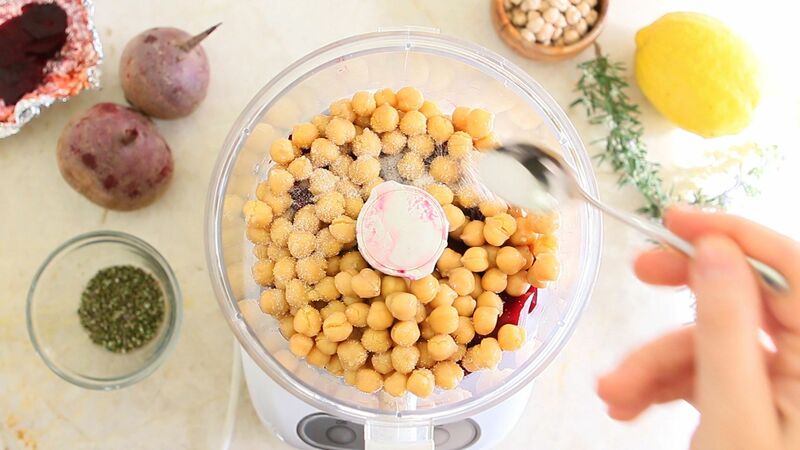 Process the mix for 2-3 minutes, until the hummus will get super pink and creamy. 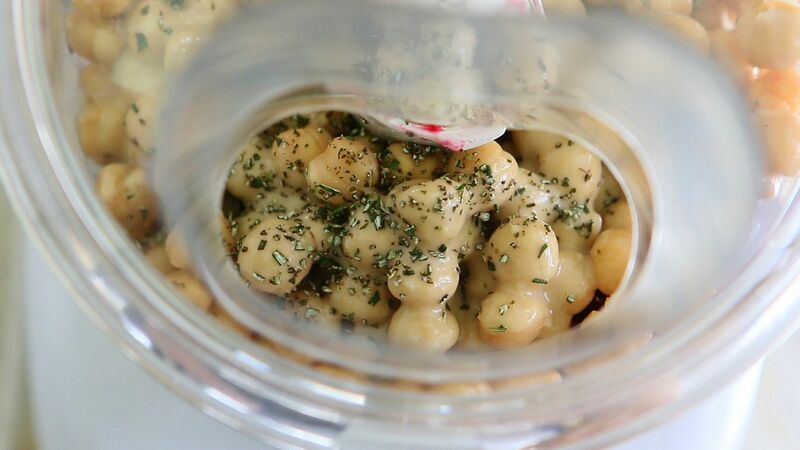 Hummus will keep for up to 5 days in an airtight container in the fridge. 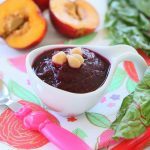 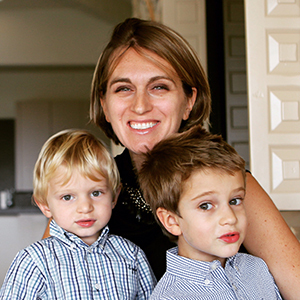 And thank you for all of your recipes! 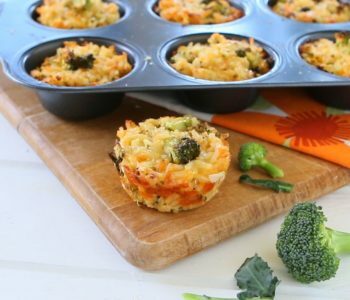 This looks beautiful! 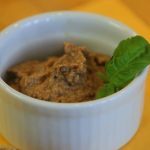 Can I substitute tahini with something else?